The message is the book’s title Own Your Future. You’re the one who has to control your fate. If you do in fact Own Your Future you will have more control over what happens to you. 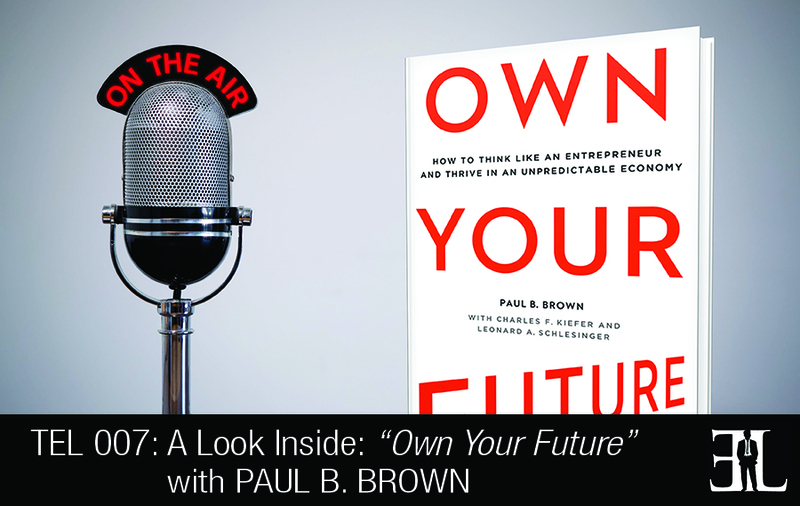 Paul B Brown gives you real-life insights from stories about successful entrepreneurs and answers the questions that you have when facing uncertainty. What really makes it different is I set out to figure out who are the best people at dealing with uncertainty and it turns out that the people who are best at dealing with it are entrepreneurs. There is nothing more uncertain than starting a business and these people are masters at it. I asked myself if there was a way to figure out how they think and is the way they think applicable to the rest of us. I have noticed that they all figure out what they want to do, they take a small step towards that goal, and they pause after taking that step to see what they’ve learned and then repeat. If you want to reduce it into a formula it becomes act, learn, build, repeat and this is the way the best entrepreneur’s deal with uncertainty. Then I asked myself if this is the best way for us to manage our careers and I think it is. That is what makes it different from the others regarding this topic. I’ll give you three words… Action Trumps Everything. If you want something to happen you have to take action in order for it to happen. If you just sit there with this wonderful idea but don’t do anything with it, all you’ll have is a wonderful idea. If you want to Own Your Future you need to take some action towards that goal. I started with trying to find common ground for everybody and I keep this part really short. The premise of the book begins with different examples of how the world has changed. After that I answer the questions what do you do in the face of uncertainty and what is your first step. You have got to stop being a deer in the headlights. The thing that stops just about everybody from owning their own future is that they are petrified. I think that this is the hardest thing that people have to overcome. We spend a lot of time with what it’s going to take to get you going. The idea is to take one small step, at a time, towards your goal. And sometimes we have to remember that the first or second step we take doesn’t always go so well. I’ll teach you what to do when your steps don’t work as well as planned. As we get towards the end I talk about how important it is to have a backup plan. Some people aren’t exactly interested in being an entrepreneur themselves but it’s always safe to have a backup plan just in case of an emergency. I end the book in the same way I started. The message is the books title Own Your Future. You’re the one who has to control your fate. If you do in fact Own Your Future you will have more control over what happens to you. My career started as a newspaper reporter with Forbes, Financial World and Business Week. While working there I started writing book nights and weekends when it eventually shifted to a fulltime job about 20 years ago. It was a combination of what do you do in the face of the unknown and what I personally experienced, after losing my job suddenly, that got me to sit down and write Own Your Future. Not exactly a book but the information I find interesting to read tends to be in newspapers and magazines. Who or what do you turn to when you face uncertainty?